The term "bubble top" has become a catch phrase in the Impala restoration community, and we often hear people asking what it really means. 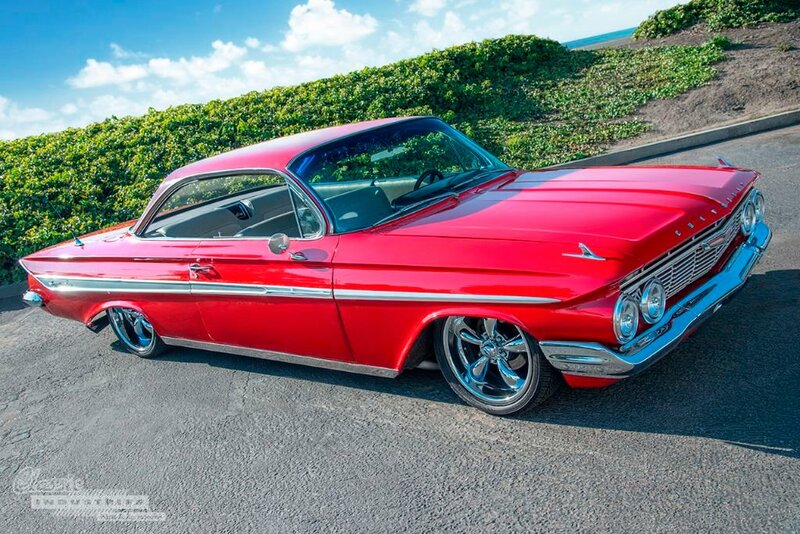 Take one look at the rounded roof of this 1961 Impala coupe, and you'll start to understand. The curved glass, smooth lines, and lack of B-pillars cause this car's roof to appear similar to a bubble, hence the name. The term became especially important one year later in '62, because GM produced a select few Impalas with leftover '61 "bubble" tops before transitioning to the more angular "crinkle top" later that year.